From Warwick, New York, Karyn relocated to Hendersonville in 1972. She has a degree in business after attending Virginia Intermont and Wake Forest University. 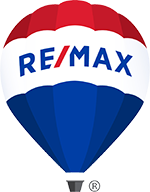 Karyn is a co-owner of Re/Max Four Seasons and has over 28 years in the real estate field. A consistent multi-million dollar producer since 1990,a member of the Re/Max Hall of Fame and Platinum Club, she is among the top professionals in the real estate industry. Karyn is a member of the National, North Carolina and the Hendersonville Boards of Realtors as well as the Western North Carolina Multiple Listing Service, which allow to best serve all of her clients. She loves her family and enjoys family activities, gardening and cooking. The parent of six adult children, she is fully embracing the role of grandparent to her fourteen beautiful grandchildren.